Men and women in recovery may worry about staying sober during the holidays. It can be especially challenging in the early days of recovery as the festive season approaches. What can you do to maintain your sobriety at holiday parties and events? Maybe you feel that you should avoid all festivities because you’re so afraid of relapsing. This is a valid concern, but isolating yourself isn’t the answer. When you feel alone, this can set the stage for relapse due to the negative emotions you experience. Decide in advance what you’ll do in the presence of drugs and alcohol, whether you leave or call someone in your support network. Go with sober buddies so that you don’t feel alone or like a party pooper. Leave the party early. In many cases, more drinking happens as the party goes on. Don’t feel bad about leaving before it starts. Celebrate quietly by practicing holistic therapies, such as hiking or meditating. If you don’t feel you’d be strong enough to resist cravings, feel free to avoid parties. But don’t just sit and brood. Carry around a cup of sparkling water or soda with a lime wedge in it. You look like you’re celebrating just like everyone else, so you don’t have to feel left out. Host your own sober celebration. Invite supportive friends and family or members of a support group. They’ll understand why staying sober during the holidays is so important to you. One of the hardest things about staying sober during the holidays can be dealing with those who don’t fully support your recovery. Unless you avoid them altogether, there will come a time when you have to be firm with these friends and family members. Tell them that your sobriety is your top priority right now. It’s crucial to your health and happiness. Let them know that you don’t have to drink or use to have a good time. If they can’t accept that, realize that you may have to cut some people out of your life, for the sake of your ongoing recovery. Steps to Recovery is an addiction treatment center in Levittown, Pennsylvania. Our rehab facility provides a small, intimate setting where you can take the first steps toward lasting sobriety. We take a collaborative and compassionate approach to treatment. 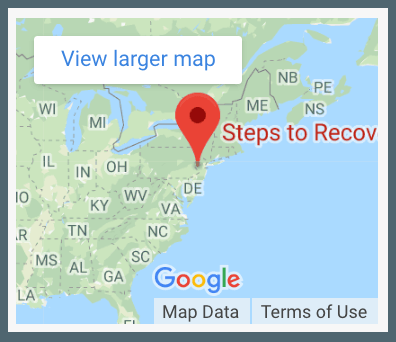 Clients throughout the Northeast region have a high-quality treatment option at Steps to Recovery. Call our caring staff today at 866-488-8684 to learn more about overcoming addiction and starting over. PreviousPrevious post:What Is Talk Therapy?NextNext post:Do I Have Alcoholic Parents?